We’ve all been there — you’re running and rush out of the house, only to realize you left your keys on the kitchen counter and are now locked out. 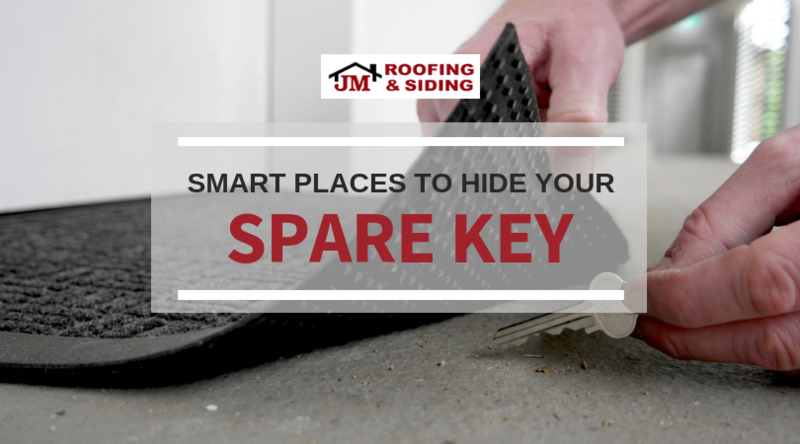 Well, if you figure out a few clever hiding spots for your spare key, you won’t be stuck waiting in your car until someone else comes home to let you in. You just want to make sure they’re spots that other people won’t suspect, of course! This is an especially great hiding spot if you already have a real sprinkler system that a fake spout could blend in with. Place your spare key in an old pill bottle, then glue the lid to the bottom of a sprinkler head before burying it in your lawn. Use a magnet to attach your key to the insider a metal door knocker, then attach the knocker to your front door — just make sure you’re able to get the knocker off so you can access the key. First off, you’re going to need to use a real rock that’s placed among others — a fake rock is too obvious for a burglar. Either use hot glue (so the key is removable) to stick your spare key to a rock or bury it in some dirt then cover it with rocks. Glue a small magnet to your key and attach it to the inside of your downspout. This way you’ll have easy access to it and it’s still hidden from anyone besides you and your family. For more home hacks, keep up with our blog. And for all your roofing needs in the Norwalk, CT area, trust the experts at JM Roofing & Siding. Give us a call today at 203-299-0716.